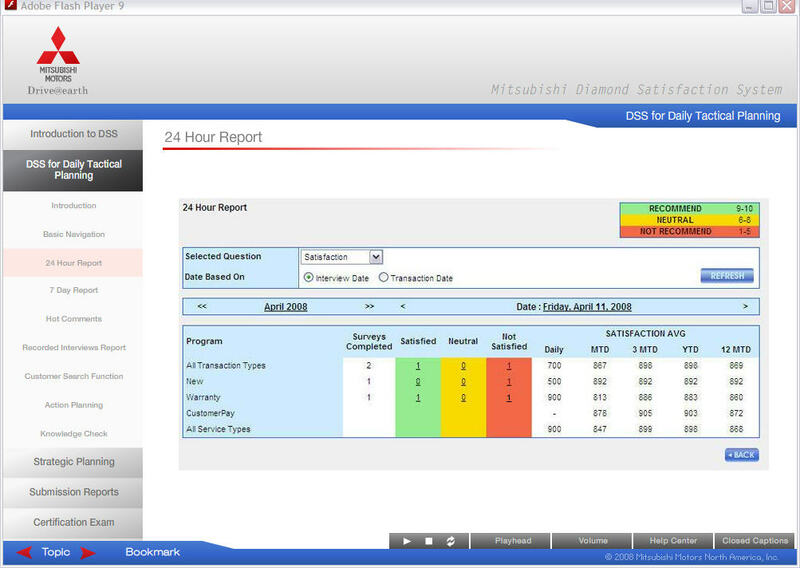 When Mitsubishi implemented their NADA-24 based Diamond Satisfaction System, they tapped piXvfm to create an e-learning program to train dealer principals, General Managers and Service Managers to implement the system at their nationwide network of Mitsubishi dealerships. piXvfm created an e-learning program that simulated actual reports and processes of the Diamond Satisfaction System, and instructed dealership personnel in tactical and strategic planning advantages of the Diamond Satisfaction System. 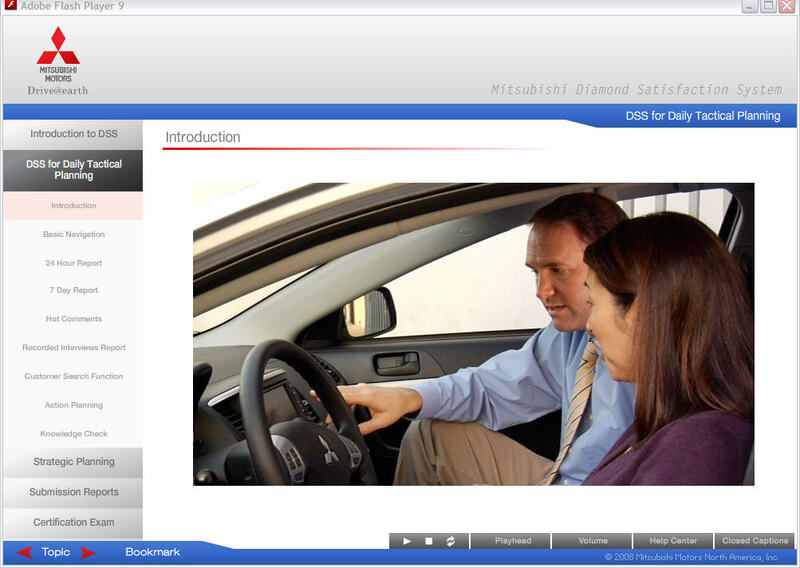 Real world scenarios illustrated with screenshots and stock photography demonstrate the value the Diamond Satisfaction System brings to Mitsubishi dealerships.